An Honest Review of Rio Muchacho Farm. Hint: It’s Not Good. In my last post, I took the uncomfortable step of pledging to be more direct in reviews of certain hostels, tours etc. There’s no point in writing a review if you’re not honest! It shouldn’t have to make me feel uncomfortable if I’m being unbiased. The reason why I wrote that last post is because I need to come clean about my feelings for Rio Muchacho Farm near Canoa and would be really happy to get feedback on this because I felt like it’s not living up to it’s ethos as well as the sparkling comments it received in Lonely Planet- I also have to say that it was the last time I really took a recommendation from LP because I just feel like it’s not for me; a bit commercial, outdated and sometimes it delivers a big misrepresentation of a place which is ultimately misleading. Ok, here goes. Arriving at Rio Muchacho Farm. Categories: Ecotourism, Ecuador, Food, Road Trip, Travels | Tags: Bad Tour, Ecuador, Nature, Not As Advertised, Organic Farm, Permaculture, Rio Muchacho | Permalink. 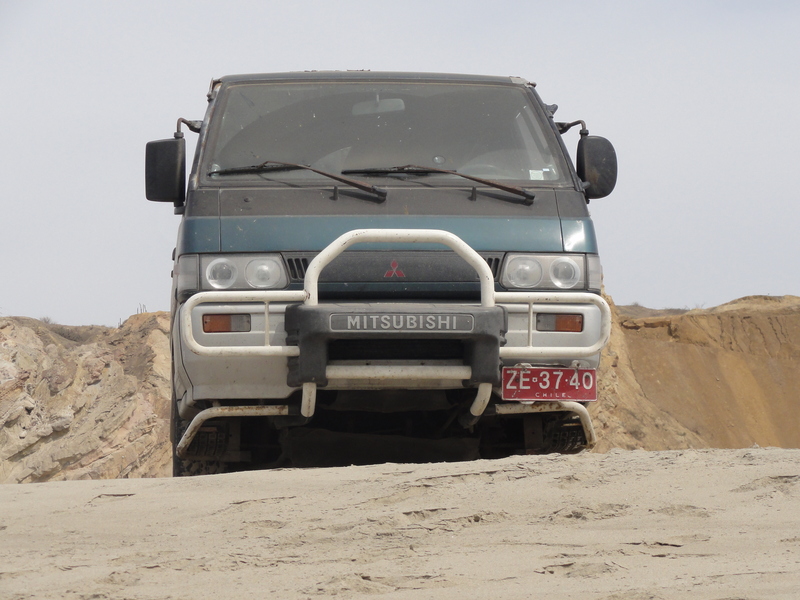 I will always be grateful that our Delica took us 10’560 miles/17,000 kms across South America and kept us safe, warm and dry. Badass! Ok, first off…here I am saying sorry for having fallen off the radar again which makes me cringe a little bit because I was determined not to leave my blog neglected and feel a tiny bit like a cliché, but during the trip I realised that it’s environment-permitting whether I get to post or not. The good news is that our travels took an adventurous turn which meant we either didn’t have electricity, didn’t have time to sit down and write the posts because we were spending a night in a small town and then moving on, or the internet was just too slow where we were to keep up with the blog. Although I am behind, we’re back in a fixed place now so I have all the time I need to get back into it and get those tips down and I have quite a few after travelling over 15’000 miles last year. Another thing: at the start of the trip I had the dilemma of staying in a hostel where the owner was lovely to us but the room just wasn’t up to scratch. I think it’s common to be in that predicament- she was a sweetheart but the bed sheets were dirty and when I asked for a clean set, those were dirty as well. I decided not to say anything and I didn’t mention anything on this but I thought to myself, it kind of defeats the purpose of passing on information if I’m not being completely honest so starting from now I will be 100% fair when I’m writing about certain experiences. Starting with the next post. Happy new year, I hope everyone has travel plans this year and that you manage to have a little escape be it for a few days, weeks or months. Even if you’re a tourist in your own city, it’s still great to get out and see and learn. Although my parents are in a little bit of a pickle over my lifestyle, I hope to be heading to Asia and Australia with my babe later on in the year so will be working solidly for the next few months to make sure we are prepared. I’m excited and I hope we can pull it off so all tips on Asia (and I mean anywhere, we still don’t have any concrete decisions on what countries we shall be visiting) are extremely welcome. Categories: Ecotourism, Food, Road Trip, Travels | Tags: Asia, Australia, Blogging, budget trip, Delica, south america, travels | Permalink. Have a look if you can see any tarantulas crossing the road. Apparently they go onto the tarmac on the roads in the early afternoon to warm themselves up and then carry on into the trees. We drove past one and looked at each other like “…was that a?” and then saw the one in the photo a few minutes later. After jumping out of the van and taking a few snaps, we stood near him until he had disappeared into the trees to make sure he wasn’t run over. Unfortunately, a tarantula a few metres down the road didn’t meet the same fate- even though we stood pointing and warning the oncoming motorist, he didn’t care and ran straight over it (this was on an A road and there was no traffic so slowing down or swerving wouldn’t have caused an accident), it was such a shame. After sending my mum the photo, she replied that when tarantulas feel threatened they can run extremely fast and flick hairs on you which itch like crazy. 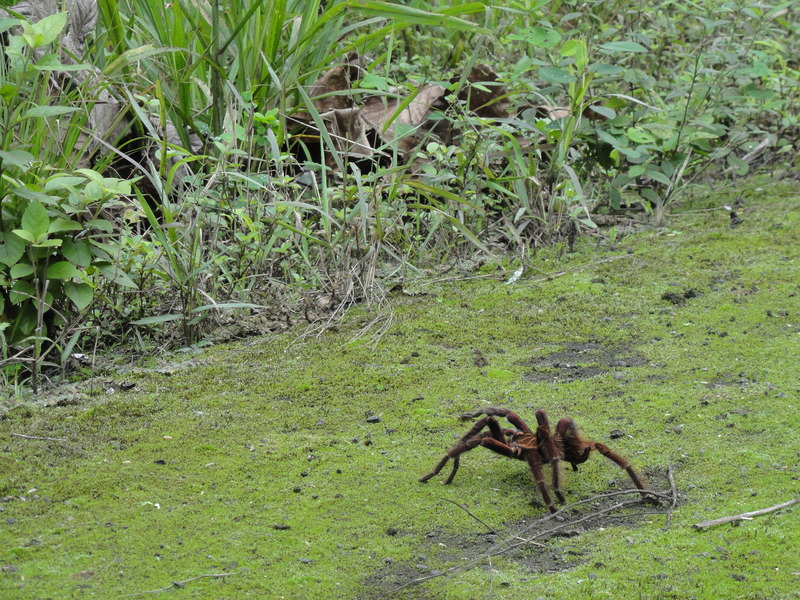 So there you go, this was a friendly tarantula who didn’t mind us taking his photo. Categories: Beach, Ecuador, Puerto Lopez, Road Trip, Surfing, Travels, Vinyl Tour | Tags: budget travel, Ecuador, road trip, south america, spider, surfing, tarantula, travel | Permalink. 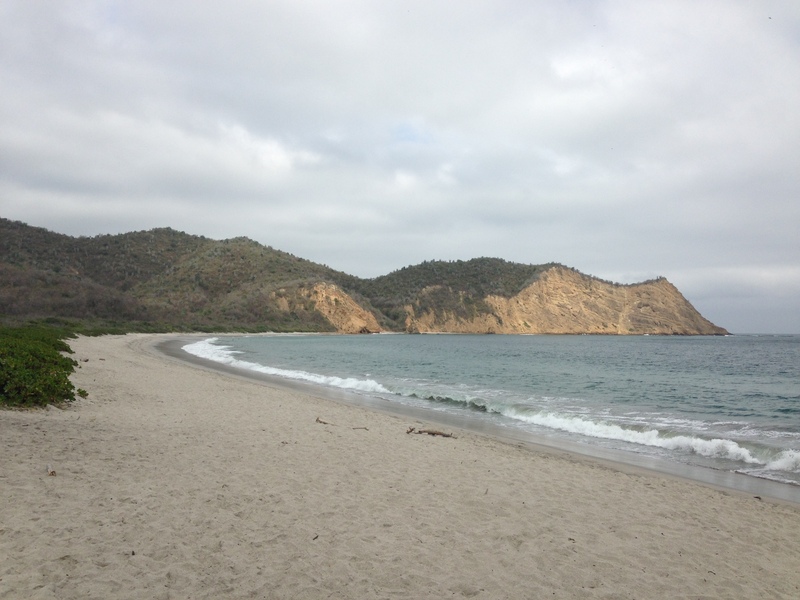 When we were talking to locals in Puerto Lopez, a lot of people asked us if we’d been to Los Frailes and Machalilla National Park. The look on our little curious faces prompted the locals to tell us that we could not miss it and tales of crystal water and safe surf. 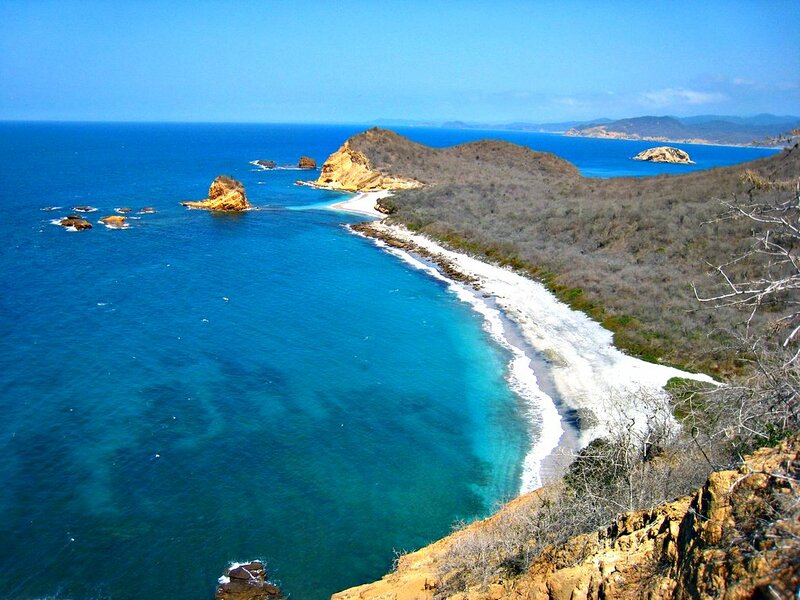 It’s billed as one of the most beautiful beaches in Ecuador and part of Machalilla National Park, a gated reserve found 12 km north of Puerto Lopez and perfect for a little day trip because it opens at 8 am and closes at 4pm. A photo from the wonders of the internet. That’s my kinda beach. We passed through on our drive north to Canoa and were greeted by the friendliest security guard I’d ever met- I would have liked to buy him a beer but he was working and we were driving so it wasn’t the best idea. Once he established that smoking is not allowed in the park and all rubbish must be taken with visitors we were on our way to have a little look. The water wasn’t as crystal as we’d hoped because the sun wasn’t out but it was still a beautiful deserted beach. If you go, bring something to eat because there is only a kiosk selling ice cream and little touristy things, and toilets. This is a photo that I took. Not as exotic looking but sill a nice beach, there was one family there and the rest was up for grabs. Apparently the best time of year to visit is January to April when I assume photo opportunities arise such as the first photo. For the rest of the year, you’ll probably end up with the kind of photo that I took. But it was still nice! Worth a visit. Categories: Beach, Ecotourism, Ecuador, Puerto Lopez, Road Trip, Travels, Whale watching | Tags: beach, Ecuador, road trip | Permalink. When we were in Puerto Lopez and surrounding areas, I was spending my down time completely engrossed in this book. 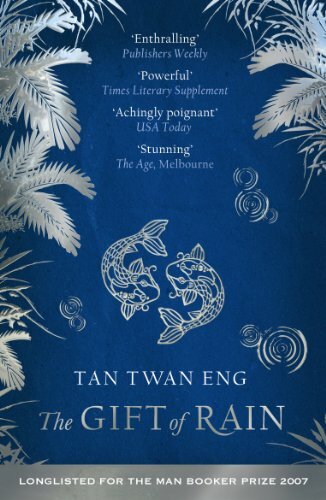 The Gift of Rain is incredible: every paragraph is full of such gorgeous description, you are transported to pre-war Malay in all it’s glory and into the life of a young half Chinese half English boy who can’t identify with society. I love books with some historical context which can teach me a little something and keep me entertained and this novel achieved that and more- we’re now planning our first trip to Asia next year having been spurred on by this book! PS If anyone has any recommended reading, let me know! 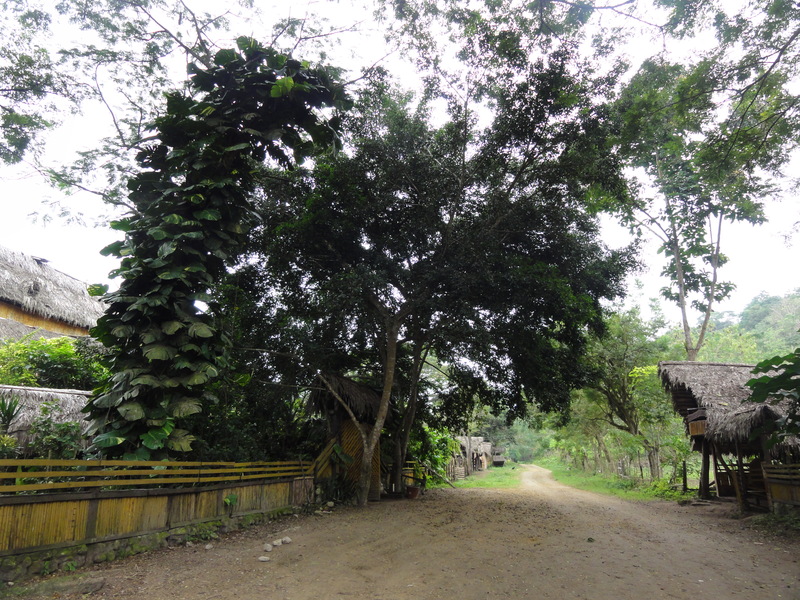 Categories: Books, Puerto Lopez, Road Trip, Travels | Tags: book, reading, travel | Permalink. 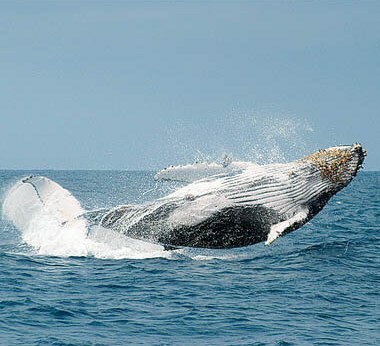 Humpback whales and Isla de la Plata: A Very Organised Tour and Seasickness. Before I begin on the wonder that is the Humpback Whale tour in Puerto Lopez, I have to tell you something. From a young age I have been in love with whales and sea life. I grew up with the dream of seeing any type of whale in the wild; Blue, Humpback, Sperm…maybe not Orcas after seeing how cunning they are with their prey, anyway, you get it- I really hoped one day I’d get the chance. And then we were on our way to Puerto Lopez and I realised my dream was about to become reality and I couldn’t wait, I secretly had visions of me diving spectacularly off the side of the boat and being taken to the depths of the sea to witness what it is they do down there. I actually did think that, it looks like my childhood imagination remains with me. The whale season in Puerto Lopez officially begins on the 22nd of June and ends in September-October and while it’s mainly Humpbacks, Orcas have also been spotted (I only just found that out now!). Depending on the time of the season, the Humpies might be travelling through the area or coming to give birth in the bay- the shape and current means that it is harder for sharks or other predators to attack the newborn calfs. Categories: Beach, Ecotourism, Ecuador, Food, Puerto Lopez, Road Trip, Seasick, Staying safe, Travels, Whale watching | Tags: Ecuador, Puerto Lopez, turtles, whales | Permalink. We set off from Guayaquil at about 1pm for the two and a half hour drive to Montañita. From what we had been told by a few surfer friends from Arica, Montañita was the place to go- beaches and waves all in a chilled out town providing the opportunity to rest for a few days and explore the area. The reality, or at least how I perceived it was actually quite different and the sleepy surfer town that I was hoping for was actually really commercial and completely overrun with tourists. Yes, I understand that I am a tourist but when I see a huge sign for Texan Ribs and a restaurant serving both pizza and Thai food, it doesn’t really make me want to stay and sample the ‘local dishes’. I know there are lots of people who love Montañita but we decided to skip it and keep going to nearby Puerto Lopez, a small town famous for being a great location to go Humpback Whale spotting. Now that is my idea of a good time. Categories: Beach, Ecuador, Montañita, Puerto Lopez, Road Trip, Staying safe, Travels, Whale watching | Tags: beach, budget travel, Ecuador, Puerto Lopez, whales | Permalink.